In this paper, chip and powder copper are used as reinforcing phase in polyester matrix to form composites. Mechanical properties such as flexural strength and impact test of polymer reinforcement copper (powder and chip) were done, the maximum flexural strength for the polymer reinforcement with copper (powder and chip) are(85.13 Mpa)and (50.08 Mpa) respectively was obtained, while the maximum observation energy of the impact test for the polymer reinforcement with copper (powder and chip) are (0.85 J) and (0.4 J) respectively. في هذا البحث تم استخدم رايش ومسحوق النحاس لتقوية مادة البولي استر لانتاج مادة متراكبة. تم إجراء الفحوصات الميكانيكية مثل مقاومة الانحناء واختبار الصدمة لمادة البوليمرية المقواة برايش ومسحوق النحاس، وقد وجد ان أقصى مقاومة انحناء للمادة البوليمرية المقواة بالنحاس (المسحوق والرايش)هي(85.13 Mpa)و(50.08 Mpa)على التوالي، بينما أعلى طاقة ممتصة في فحص الصدمة للمادة البوليمرية المقواة بالنحاس (المسحوق والرايش) هي (0.85 J)و (0.4 J)على التوالي. بولي أستر، رايش النحاس، مسحوق النحاس، مقاومة الانحناء، اختبار الصدمة. In recent decades, tremendous success has been achieved in the advancement of chemical admixtures for Portland cement concrete. Most efforts have concentrated on improving the properties of concrete and studying the factors that influence on these properties. Since the compressive strength is considered a valuable property and is invariably a vital element of the structural design, especially high early strength development which can be provide more benefits in concrete production, such as reducing construction time and labor and saving the formwork and energy. As a matter of fact, it is influenced as a most properties of concrete by several factors including water-cement ratio, cement type and curing methods employed. Because of accelerated curing is deemed one of methods that achieved high early age strength of concrete and has been grown only gradually. So, the prime aim of this research work is to provide information about the some desired properties of superplasticized and retarding concrete succumbed to accelerated curing methods, such as compressive strength and water absorption and compared it with their corresponding normally curing concrete. Besides, the research discusses the influence of surface texture of aggregate and over-dosing for admixture on performance concrete in such as that conditions. The test results revealed that effect of admixture on properties of concrete are dependent upon it dosage, surface texture for aggregate and temperature used for curing.في العقود الاخيرة تحققت الكثير من النجاحات فيما يخص تطوير المضافات الكيميائية لخرسانة السمنت البورتلاندي. واغلب الجهود تركزت على تحسين خصائص الخرسانة وايضا دراسة العوامل المؤثرة عليها. وبما ان مقاومة الانضغاط تعتبر الخاصية القيمّة والعامل الاساس والثابت في التصميم الانشائي خصوصا تطورها في الاعمار المبكرة حيث يمكن ان توفر العديد من الفوائد في انتاج الخرسانة مثل تقليل مدة وعمل البناء و توفير القوالب. الا انها في واقع الامر كمعظم خصائص الخرسانة تتأثر بعدة عوامل بضمنها نسبة الماء الى السمنت,نوع السمنت وطرق الانضاج المتبعة. ولكون الانضاج المعجل يعتبر احد الطرق التي تحقق مقاومة عالية ومبكرة للخرسانة واصبحت تنمو بشكل تدريجي. لذا كان الهدف الرئيسي للبحث هو توفير معلومات عن بعض الخصائص المرغوبة لخرسانة الملدن المتفوق والمبطيئ والخاضعة لتاثير الانضاج المعجل مثل مقاومة الانضغاط وامتصاص الماء ومقارنتها مع خصائص الخرسانة في حالة الانضاج الاعتيادي. بجانب ذلك, يناقش البحث تاثير الملمس السطحي للركام الخشن والوزمات العالية للمضاف على اداء الخرسانة في مثل تلك الظروف. وأظهرت نتائج البحث بأن تأثير المضاف على خصائص الخرسانة يعتمد على وزمة المضاف,الملمس السطحي للركام ودرجة الحرارة المستخدمة للانضاج. A numerical investigation has been performed to study the effect of eccentricity on unsteady state, laminar aiding mixed convection in a horizontal concentric and eccentric cylindrical annulus.The outer cylinder was kept at a constant temperature while the inner cylinder was heated with constant heat flux. The study involved numerical solution of transient momentum (Navier-Stokes) and energy equation using finite difference method (FDM), where the body fitted coordinate system (BFC) was used to generate the grid mesh for computational plane.The governing equations were transformed to the vorticity-stream function formula as for momentum equations and to the temperature and stream function for energy equation. A computer program(Fortran 90) was built to calculate the bulk Nusselt number (Nub) after reaching steady state condition for fluid Prandtl number fixed at 0.7 (air) with radius ratio ( =2.6), Rayleigh number (Ra=200), Reynolds number (Re=50) for both concentric and eccentric cylindrical annulus with different eccentricity ratios (ε=0, 0.25, 0.50, 0.75) and angular positions (φo=0o, 45o, 90o, 135o, 180o). The results show a reasonable representation to the relation between Nusselt number and (ε, φo). Generally, Nub decreased with the increase in (ε and φo). Also, results show that the best thermal performance for the inner cylinder was at the angular position(φo=0o) for eccentricity ratio (ε=0.25), while the maximum reduction in the rate of heat transfer for the inner cylinder was at the angular position (φo=180o) for eccentricity ratio (ε=0.75). Comparison of the result with the previous work shows a good agreement.تم إجراء بحث عددي لدراسة تأثير اللامركزية لجريان مختلط مساعد غير مستقر يقع بين اسطوانتين أفقيتين متحدة وغير متحدة المركز، تم حفظ الاسطوانة الخارجية بدرجة حرارة ثابتة بينما سخنت الاسطوانة الداخلية بفيض حراري ثابت . بينت الدراسة النظرية حل عددي لمعادلات الزخم والطاقة لمسألة البحث باستخدام طريقة الفروقات المحددة وتم استخدام نظام الإحداثيات المطابقة للجسم (BFC) في توليد شبكة العقد بعد تحويل هذه المعادلات إلى صيغة دالة الانسياب-الدوامية . تم بناء برنامج ( فورتران 90 ) لحساب رقم نسلت (Nu) بعد الوصول إلى حالة الاستقرار لقيمة رقم برانتل ثابتة 0.7 (هواء) ولنسبة نصف قطر (=2.6 ) ولخواص جريان ممثلة برقم رينولد (Re=50) ورقم رالي (Ra=200) لحالتي الاسطوانتين المتحدة وغير متحدة المركز لنسب لامركزية(ε=0, 0.25, 0.50, 0.75) ولموقع زاوي للاسطوانة الداخلية ضمن التجويف (φo= 0o, 45o, 90o, 135o, 180o) أعطت النتائج تمثيلاً معقولا لمعدل رقم نسلت بواسطة رسم مخططات تمثل تأثيركل من (ε, φo) على قيمة Nu . وبصورة عامة وجد إن رقم نسلت يقل مع زيادة. (ε , φo) وبينت النتائج أيضا ان أفضل أداء حراري للاسطوانة الداخلية كان في الموقع الزاوي (φo=0o) ولنسبة لامركزية(ε=0.25) بينما كان أعظم انخفاض في معدل انتقال الحرارة للاسطوانة الداخلية في الموقع الزاوي (φo=180o) ولنسبة لامركزية (ε=0.75) . تم إجراء مقارنة مع البحوث السابقة وكانت جيدة. Flow and Heat Transfer --- Laminar --- Mixed Convection --- Concentric and Eccentric --- Horizontal Annulus. Health and safety problem can be described by statistics it can only be understood by knowing and feeling the pain, suffering, and depression. Health and safety has a legal responsibility to protect it for everyone who can affect in the workplace. This includes manufacturers, suppliers, designers and controllers of work places and employees. Work injury is one of the major problems in manufacturing and production systems industries; it is reduced production efficiency and affects the cost. To gain flexibility from a traditional manufacturing system and production efficiency, this paper is about the application of estimating technology to preview and synthesis of Lost Time of Work Injuries in industry systems aims to provide a safe working environment for all employees to achieve safe workplaces, safe systems of work, and safety understanding within our workforce. Our industry often has a poor record in dealing with modern and development techniques. Thus, as one of the targets, this leads to perform a helpful program plane to provide guidelines of management, employees to eliminate hazards, given the enormous cost of occupational personal damage in industry and to develop safe work methods work site. This work proposed a general methodology for constructing an explanatory software system to review and analysis workers injuries in a work site. The program language used is Axes, which suitable to shows categories of incidences and estimates costs to workers, employers and society of workplace injuries and work-related ill health. Data of the system was collected in the State Company for Woolen Industries in Al-Kadhumiaa in Iraq. The resulting is to provide a simple obvious outline system to evaluate lost time injury and the net-costs on safety interfering at the company level to reduce occupational morbidity and generating a helpful system to estimate of the total costs to employers and workers of workplace accidents and work-related ill health.توصف الية الصحة والسلامة بالإحصائيات التي لا يمكن فهمها إلا من خلال المعرفة والشعور بالألم، والمعاناة والاكتئاب. تعد الصحة والسلامة المسؤولية القانونية لحماية كل شخص ومن هو مؤثر في موقع العمل، يتضمن ذلك كل من المصنعين، المجهزين، المصممين والمراقبين للعمل والموظفين. تعتبر اصابة العمل من المشاكل الرئيسية التي تقلل من كفاءة الانتاج وتؤثر في الكلف لعمليات التصنيع والانتاج في الانظمة الصناعية. يهدف البحث الى تطبيق تقنية للتقييم والعرض للوقت الضائع في اصابات العمل لنظام صناعي بغية الوصول الى توفير بيئة صحية سليمة لجميع المستخدمين ولتحقيق مواقع وانظمة عمل آمنة قادرة على التجديد والمرونة في الكفاءة الانتاجية لنظام تصنيع تقليدي. تعاني صناعاتنا في الغالب من مؤشرات ضعيفة في التعامل مع التقنيات الحديثة والمتطورة. لذلك، وكاحد اهداف هذا البحث هو ايجاد، خطة برنامج مساعد لتوفير تعليمات للادارةِ وللعاملين لإزالة المخاطر التي تؤدي الى الكلف الهائلةَ للضرر المهنيِ في الصناعة. ولاجل تطوير والوصول الى طرقِ عمل آمنة لموقع العمل. مقترح البحث هو ايجاد الية عامة لبناء نظام برمجي توضيحي لاستعراض وتحليل إصابات العمل. لغة البرنامج المستخدمة (اكسس)، وهي ملائمة في العرض والتحليل لانواع الاصابات والكلف التخمينية للعاملين من عمال، وموظفين، وكذلك لمجتمع او بيئة الإصابات. بيانات النظام تم جمعها وتطبيقها في الشركة العامة للصناعات النسيجية- الكاظمية – العراق. النتائج المتحققة هو توفير مخطط واضحِ وبسيط لتقييم الوقت المفقود في الاصابة والكلف الكلية المؤثرة في السلامة لمستوى الشركةَ لتقليل الاصابات والامراض المهنية وتكوين نظام مساعد في تخمين التكاليف الكلية للحوادث والامراض المرتبطة بموقع العمل للعمال والعاملين. An improved Metal Solar Wall (MSW) with integrated thermal energy storage is presented in this research. The proposed MSW makes use of two, combined, enhanced heat transfer methods. One of the methods is characterized by filling the tested ducts with a commercially available copper Wired Inserts (WI), while the other one uses dimpled or sinusoidal shaped duct walls instead of plane walls. Ducts having square or semi-circular cross sectional areas are tested in this work. A developed numerical model for simulating the transported thermal energy in MSW is solved by finite difference method. The model is described by system of three governing energy equations. An experimental test rig has been built and six new duct configurations have been fabricated and tested. Air is passed through the six ducts with Reynolds numbers from 1825 to 7300. Six, new, correlations for Nusselt number and friction factor are developed to assess the benefits that are gained from using the WI and the dimpled and sine-wave duct walls. It is found that higher heat transfer rates are achieved using the Dimpled, semi–circular duct with Wired Inserts (DCWI). Also, it is found that Nusselt number and the pressure drop in the DCWI are respectively (44.2% -100%) and (101.27% - 172.8%) greater than those of the flat duct with WI. The improvement in Nusselt number for flat duct with WI is found to be (1.4 – 2) times the values for flat duct with no WI. The results demonstrated that DCWI provides enhancements efficiency value that is higher than those obtained from other types of ducts. The developed MSW ducts have added to local knowledge a better understanding of the compound heat transfer enhancement. في هذاالبحث تم تقديم جدار معدني شمسي (MSW) مطور ذو قابلية خزن حرارية ضمنية. ان الجدار المقترح يستخدم طريقتين لتحسين انتقال الحرارة. الطريقة الاولى تتضمن إملاء قنوات الجريان بحشوات نحاسية من الأسلاك (WI) المتوفرة تجاريا اما الطريقة الثانية فتستخدم مجاري الهواء ذات الجدران المتموجة جيبيا او المقعرة بدلا من المجاري ذات الجدران المستوية. لقد تم اجراء البحث على مجاري ذات مقاطع مربعة و نصف دائرية . تم اجراء الحل للموديل العددي المطور الخاص بمحاكاة الطاقة الحرارية المنقولة باستخدام طريقة الفروقات المحددة. ان هذا الموديل العددي مكون من منظومه من ثلاثة معادلات حاكمه للطاقه. تم في هذا البحث بناء جهاز أختبار عملي وتم تصنيع وأختبار ستة مجاري هواء وإمرار الهواء خلال المجاري ضمن مدى لرقم رينولدز من 1825 الى 7300. من النتائج المستحصلة من هذا البحث تم استحداث ستة معادلات جديدة خاصة برقم ناسلت و معامل الاحتكاك لتخمين الفوائد المكتسبة من الأستعمال المركب لكل منWI و مجاري الهواء ذات الجدران المتموجة جيبيا او المقعرة. لقد وجد ان اعلى معدل لانتقال الحرارة هو للمجرى المدمل ذو المقطع نصف الدائري المحشو (DCWI). النتائج بينت ان نسب رقم ناسلت ومقدار الانخفاض بالضغط للمجرى نوع DCWI هي على التوالي (44.2%-100% ) و (101.27%-172.8% ) اعلى من تلك العائدة الى المجرى المسطح مع WI . وجد ان التحسينات في رقم ناسلت قد بلغت ( 1.4 - 2 ) مرة بالنسبة للمجرى المزود ب WI بالمقارنة مع تلك غير المزودة ب WI.بينت النتائج الخاصة بالبحث الحالي ان الموديل المطور لمقترح DCWI يعطي كفاءة تحسين اعلى من الموديلات الاخرى. النتائج المستخلصة في هذا البحث أضافت للمعرفة المحلية فهم أفضل لتحسين انتقال الحرارة المركب. compound heat transfer --- wired inserts --- dimpled duct --- sinusoidal duct --- Nusselt number. Soil suction is one of the most important parameters describing the moisture condition of unsaturated soils. The measurement of soil suction is crucial for applying the theories of the engineering behavior of unsaturated soils. The filter paper method is one of the soil suction measurement techniques In this paper, five soil samples were collected from five sites within Baghdad city – al-Rasafa region. These soils have different properties and they were prepared at different degrees of saturation. For each sample, the total and matric suction were measured by the filter paper method at different degrees of saturation. Then correlations were made between the soil properties and the total and matric suction. It was concluded that the suction increases with decrease of the degree of saturation. The relationships between the total and matric suction and the filter paper water content are approximately linear and indicate decrease of suction with increase of the filter paper water content. The total and matric suction increase with the decrease of the soil shear strength.ان مص التربة هي واحدة من اهم المعاملات المستخدمة لوصف المحتوى المائي للترب الغير مشبعة. ان قياس المص للتربة مهم لتطبيق نظريات التصرف الهندسي للترب الغير مشبعة. ان طريقة ورق الترشيح هي تقنية لقياس المص للتربة. في هذا البحث، تم جمع خمس نماذج لخمس مواقع في مدينة بغداد- في منطقة الرصافة. هذه الترب لها خواص مختلفة وقد تم تحضيرها بدرجات تشبع مختلفة . لكل نموذج تم قياس السحب الكلي (suction ( total و (matric suction) بدرجات تشبع مختلفة.تم الحصول على علاقات تربط خواص التربة مع السحب للتربة (total and matric suction). لقد تم استنتاج ان السحب يزداد بنقصان درجة التشبع. ان العلاقة بين السحب (total and matric suction)والمحتوى المائي لورق الترشيح تقريبا علاقة خطية وتشير الى نقصان السحب بزيادة المحتوى المائي لورق الترشيح. ان السحب يزداد عند نقصان مقاومة القص للتربة. Total suction --- matric suction --- filter paper --- unsaturated soil. This research presents experimental and theoretical investigation of 15 reinforced concrete spliced and non-spliced girder models. Splices of hooked dowels and cast in place joints, with or without strengthening steel plates were used. Post-tensioning had been used to enhance the splice strength for some spliced girders. The ANSYS computer program was used for analyzing the spliced and non-spliced girders. A nonlinear three dimensional element was used to represent all test girders. The experimental results have shown that for a single span girder using steel plate connectors in the splice zone has given a sufficient continuity to resist flexural stresses in this region. The experimental results have shown that the deflection of hooked dowels spliced girders is greater than that of non-spliced girder in the range of (17%-50%) at about 50% of the ultimate load which approximately corresponds to the serviceability limit state and the ultimate loads is less than that of non-spliced girder in the range of (12%-52%). For other spliced girders having strengthening steel plates at splices, the results have shown that the deflection of the spliced girder is less than that of non-spliced girder in the range of (2%-20%) at about 50% of the ultimate load and the ultimate loads for spliced girder is greater than that of non-spliced girder in the range of (1%-7%). The post-tensioned concrete girders have shown a reduction in deflection in the range of (26% - 43%) at a load of 50% of the ultimate load as compared with that of ordinary girders. Moreover, post-tensioning increases the ultimate loads in the range of (70% - 132%). The results obtained by using the finite element solution showed a good agreement with experimental results. The maximum difference between the experimental and theoretical ultimate loads for girders was in the range of (3-11%).تقدم هذة الدراسة بحثا عمليا وتحليليا لخمسة عشر رافدة خرسانية موصولة وغير موصولة.حيث كانت التوصيلات بواسطة الحديد المعكوف وبواسطة التقوية بصفائح الحديد اضافة الى استعمال قوى الشد اللاحق (post-tensioning) لتعزيز مقاومة التوصيلات في بعض الروافد. للتقصي التحليلي لسـلوك الروافد المفحوصة مختبريا،تم استخدام عناصر محددة ثلاثية الابعاد تتصرف لاخطيا وذلك بالاستعانة ببرنامج العناصر المحددة (ANSYS) لاجراء تحليل جميع الروافد. لقد تم اجراء مقارنة بين النتائج العملية والتحليلية للروافد الموصولة وغير الموصولة وقد بينت النتائج انه تحت تاثير 50% من الحمل الاقصى والذي يقترب من الحمل الخدمي للمنشاان الهطول في الروافد الموصولة بواسطة الحديد المعكوف يزيد بنسبة (17-50%) والحمل الاقصى لها يقل بنسبة (12-50%)عما في الروافد الغير موصولة. اما الروافد الموصولة بالصفائح الحديدية فكان الهطول فيها عند 50% من الحمل الاقصى يقل بنسبة (2-20%) عما هو في الروافد غير الموصولة, اما الحمل الاقصى فيزداد بنسبة (1-7%). ان النتائج العملية اظهرت انه باستخدام قوى الشد اللاحق سوف يقل الهطول بحيث يكون عند تاثير 50% من الحمل الاقصى اقل بنسبة (26-43%) من الهطول للروافد غير الموصولة التي لم تخضع لقوى الشد اللاحق, والحمل الاقصى اكثر بنسبة (70-132%). اظهرت النتائج بشكل عام حصول توافق جيد بين نتائج العناصر المحدودة مع النتائج المختبرية وكان اكبر فرق في التحمل الاقصى للروافد يتراوح ضمن(3-11%). connections; nonlinear finite element analysis; nonlinear behavior; precast; reinforced concrete girders. A numerical method is developed to obtain two-dimensional velocity and pressure distribution through a cylindrical pipe with cross jet flows. The method is based on solving partial differential equations for the conservation of mass and momentum by finite difference method to convert them into algebraic equations. This well-known problem is used to introduce the basic concepts of CFD including: the finite- difference mesh, the discrete nature of the numerical solution, and the dependence of the result on the mesh refinement. Staggered grid implementation of the numerical model is used. The set of algebraic equations is solved simultaneously by “SIMPLE” algorithm to obtain velocity and pressure distribution within a pipe. In order to verify the validity for present code, the flow behavior predicted by this code is compared with these of another studies and there is a good agreement is obtained.تم تطوير طريقة حل عددية لمعرفة التوزيع الثنائي الأبعاد للسرعة والضغط خلال انبوب اسطواني المقطع مع جريان متقاطع . وقد اعتمدت الطريقة على حل المعادلات التفاضلية الجزئية لحفظ الكتلة والزخم (conservation of both mass and momentum) بواسطة استخدام طريقة الفرو قات المحــددة (finite difference method) لتحويلها إلى معادلات جبرية. يستخدم هذا التطبيق المعروف جيداً لتطبيق مفاهيم الحل باستخدام ديناميك الموائع الحسابي (CFD) والمتضمنة كيفية توزيع عقد الفروقات المحددة وطبيعة واسلوب طريقة الحل العددية بتلك الطريقة وكذلك اعتمادية النتائج على اسلوب توزيع العقد ضمن الحيز من حيث تقليل المسافات البينية بين العقد. استخدم (Staggered grid) في نموذج الحل العددي. تم حل مجموعة المعادلات الجبرية في وقت واحد بطريقة (“SIMPLE” algorithm) لمعرفة توزيع السرعة والضغط خلال الانبوب . ولغرض التحقق من وثوقية الطريقة الحالية تمت مقارنة النتائج العددية الحالية مع نتائج الحل التحليلي للجريان احادي الابعاد خلال الانابيب ,وقد بينت المقارنة توافقية جيدة. numerical --- CFD --- laminar flow --- cross flow --- flow in pipe. In this work, the effect of variation of semi-angle of the conical part on the vibration characteristics of cylindrical-conical coupled structure is investigated. The shell is made of polyester resin reinforced by continuous E-glass fibers. The case is analyzed experimentally and numerically for orthotropic shell structures. The experimental program is conducted by exciting the fabricated structure by an impact hammer and monitoring the response using an attached accelerometer for different semi-angles of the conical part. Software named SIGVIEW is used to perform the signal processing on the acquired signal in order to measure the natural frequencies and the corresponding mode shapes. The numerical investigation is achieved using ANSYS (Finite Element software) which was verified by the experimental results. Good agreement is achieved when comparing the experimental and numerical results. The maximum deviation in results was found to be (5.9%). The maximum relative nodal rotational and translational amplitudes associated with the first normal mode of the orthotropic and isotropic shells are noted for the structure of semi-angle of cone of 45o.في هذا العمل أجريت دراسة تجريبية وعددية لتأثير تغير نصف زاوية المخروط على الخواص الأهتزازية للهيكل القشري المخروطي – الأسطواني المرتبط المختلف والسوي. لقد تم تصنيع الهيكل القشري من مادة البولستر الرابطة المقواة بكمية من الألياف الزجاجية نوع E المستمرة. انجز الجانب العملي لحساب الترددات الطبيعية للهيكل باستخدام محلل FFT بمساعدة مقياس التعجيل ومطرقة مزودة بمتحسس قياس القوة. لقد تم انجاز الجانب العددي باستخدام طريقة العناصر المحددة (برنامج Ansys). لقد تم الحصول على تطابق جيد عند مقارنة النتائج العددية والعملية لقيم التردد الطبيعي الاول للهيكل.ان قيمة الأنحراف القصوى بالنتائج هي (5.9%). لقد تم التوصل الى ان القيم النسبية العظمى للعقد للسعات الانتقالية والدورانية الخاصة بشكل النسق الاول وللهياكل المصنعة من مواد مركبة مختلفة او سوية تحصل عند زاوية نصف زاوية مخروط مقدارها 45 درجة. An experimental and numerical study has been carried out to investigate the heat transfer by natural convection in a three dimensional annulus enclosure filled with porous media (silica sand) between two inclined concentric cylinders with (and without) annular fins attached to the inner cylinder under steady state condition; The experiments were carried out for a range of modified Rayleigh number (0.2 ≤Ra*≤ 11) and extended to Ra*=500 for numerical study, annulus inclination angle of (δ = 0˚, 30˚, 60˚ and 90˚). The numerical study was to write the governing equation under an assumptions used Darcy law and Boussinesq’s approximation and then solved numerically using finite difference approximation. It was found that the average Nusselt number depends on (Ra*, Hf, δ and Rr ) and the maximum value of the local Nusselt number for vertical cylinder is about two times as large as that of the horizontal case. The results showed that, increasing of fin length increases the heat transfer rate for any fins pitch unless the area of the inner cylinder exceeds that of the outer one, then the heat will be stored in the porous media.A correlation for Nu in terms of Ra, Rr and δ, has been developed for inner cylinder. A comparison was made between the results of the present work and with other researches for the case without fins and excellent agreement was obtained and reveals deviation less than 5 % for average Nusselt number.أجريت في هذاالبحث دراسة عملية ونظرية لإنتقال الطاقة الحرارية بالحمل الحر في فجوة حلقية ثلاثية الأبعاد مملؤة بوسط مسامي(رمل) بين أسطوانتين مائلتين متحدتي المركز بوجود (وعدم وجود) زعانف متصلة بالإسطوانة الداخلية تحت شروط حالة الإستقرار. أجريت التجارب العملية لمدى عدد رالي المعدّل (0.2≤Ra*≤11) ولمدى Ra*=500 في الجزء النظري ولزاوية ميل (δ = 0˚, 30˚, 60˚ and 90˚). تم كتابة المعادلات الحاكمة في الدراسة النظرية تحت فرضيات قانون دارسي وتقریب بوسنسك وتحويلها الى معادلة بدلالة الجهد المتجه والتي بدورھا حلت عدديا باستخدام طریقة الفروق المحددة. تتضمن إمكانية الحل العددي حساب الجهد المتجه ودرجة الحرارة وعدد نسلت الموقعي والمتوسط. بينت النتائج أن عدد نسلت المتوسط يعتمد على عدد رالي المعدّل وطول الزعنفة وزاوية ميل الأسطوانة ونسبة الأقطار, وأن أقصى عدد نسلت الموقعي للأسطوانة العمودبة حوالي الضعف لتلك في حالة الأسطوانة الأفقية.بينت النتائج أن زيادة طول الزعنفة لأي خطوة زعنفة يسبب زيادة في أنتقال الطاقة الحرارية إلا في حالة زيادة المساحة السطحية للأسطوانة الداخلية على تلك التي للأسطوانة الخارجية فإن ذلك يتسبب في خزن الطاقة الحرارية في الوسط المسامي. مثلت النتائج العملية والنظرية بمعادلات تجريبية للأسطوانة الداخلية تربط عدد نسلت الموقعي بعدد رالي المعدّل ونسبة الأقطاروزاوية الميل. قورنت النتائج للبحث الحالي مع نتائج بحوث أخرى في حالة عدم وجود زعانف وأعطت توافق جيد بنسبة إنحراف 5% لعدد نسلت المتوسط. Optimum allocation of water for restoration of Iraqi marshes is essential for different related authorities. Abo-Ziriq marsh area about 120 km2 is situated 40 km east of Al-Nassryia city. After comparing the measured annual water qualities with the Iraqi standards for surface water quality evaluation, Abo-Ziriq marsh water quality was in acceptable limit. Hydro balance computation were done for each month by using interface among the HEC-RAS, HEC-GeoRAS and ArcView GIS software and built a number of eco-hydro relationships to simulate the marsh ecosystem by using HEC-EFM program to estimate water allocation adequate for ecosystem requirement and constructs a GIS hydraulic reference map to show inundation area, depth grid and velocity distribution, the optimal flow result consists of three different scenarios (24, 30.3 and 33.6 m3/s) for marsh operation during the year. A computer program in MATLAB 7 was developed to simulate the optimization model to determine the optimum flow value entry to lower zone. The priority of each parameter is represented by a weight associated with each of them (penalty factor). The model was used for different scheme of penalty factor value and examines three cases of flow (wet, moderate and dry years). The results obtained from the program run show that the optimum flow values are not affected significantly with changing the scheme of the penalty factors. 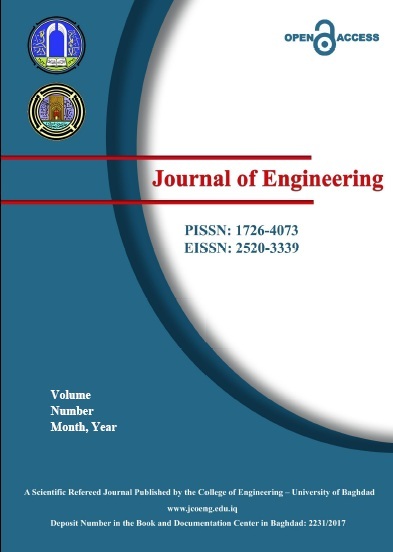 Hence, any set of solutions can be use for operation the control structure of two inlets in the lower zone that best fits the objective of the system and increase flow release from Abo Jiry inlet to minimum deviation in water quality during the most time of the year ان توفير الحصص المائية المثلى بالكميات والنوعيات اللازمة لاعادة الحياه الطبيعية الى سابق عهدها في مناطق الاهوار في جنوب العراق يمثل احدى اهم الاولويات بالنسبة للمهتمين بهذا الموضوع. يتناول هذا البحث دراسة الحصص المائية المثلى لاعادة الانعاش الاحيائي لهور ابوزرك حيث تبلغ مساحته مايقارب 120 كم2 ويقع في محافظة ذي قار على مسافة 40 كم شرق مدينة الناصرية. بعد مقارنة نوعية المياه المقاسة مع المحددات القياسية العراقية تبين ان مياه هور ابو زرك مازالت في حالة مقبولة وكذلك تم عمل موازنة مائية لكل شهر من خلال الاستتباع الهيدرولوجي بأستخدام التداخل بين البرامج التالية HEC-RAS, ArcView GIS, HEC-GeoRAS حيث تضمن إعداد منحنيات المساحة-المنسوب والحجم-المنسوب وتمثيل المساحة السطحية المغمورة لكل شهر وتخمين التبخر والاستهلاك والحصص المائية في الجزء الجنوبي والشمالي من الهور. لتحقيق متطلبات الانعاش الاحيائي لهور ابوزرك توجب بناء عدة علاقات لثمثيل النظام الاحيائي ووصف علاقة النظام الاحيائي بطبيعة نظام الجريان في الهورمن خلال تطبيق برنامج EFM HEC- حيث اختيرت ثلاثة سيناريوهات للتشغيل على طول السنة المائية وهي (24، 30.3 ، 33.6) م³ثا وتم تمثيل تلك القيم والحصول على خرائط لاعماق المياه وسرعة الجريان والمساحة المغمورة. تم تطوير برنامج (MATLAB 7) يهدف لتقليل المجموع الكلي لانحرافات التصريف ومعاملات نوعية المياه عن القيم المسموح بها وحسب برنامج EFM والمواصفات العراقية لتقييم نوعية المياه السطحية. استخدم النموذج عدة حالات مختلفة من قيم معاملات الجزاء ولثلاث حالات من الجريان ( رطب وطبيعي وجاف ) لكل فرع يدخل الى الجزء الجنوبي، وبعد ملاحظة النتائج تبين ان تغير معاملات قيم الجزاء لاتؤثر بصورة مباشرة على النتائج لكل حالة من حالات الجريان وامكانية اجراء مناقلة بكميات المياه الداخلة الى فرع (ابو الجري) وزيادتها بحيث تحقق افضل نوعية للمياه داخل الجزء الجنوبي للهور من خلال التحكم بمنشاة السيطرة للجزء الجنوبي على مداخل فرعي (ابو الجري و ابو سميسم).